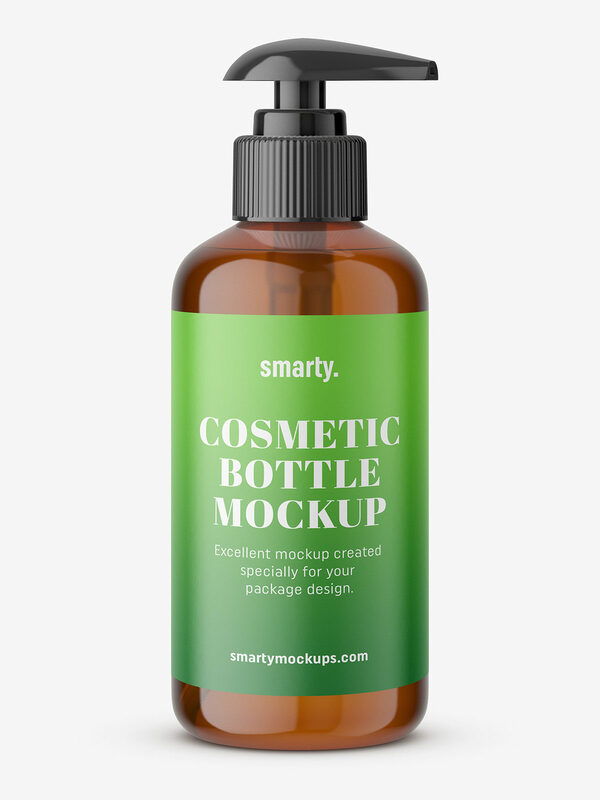 Brown soap plastic bottle with pump mockup. 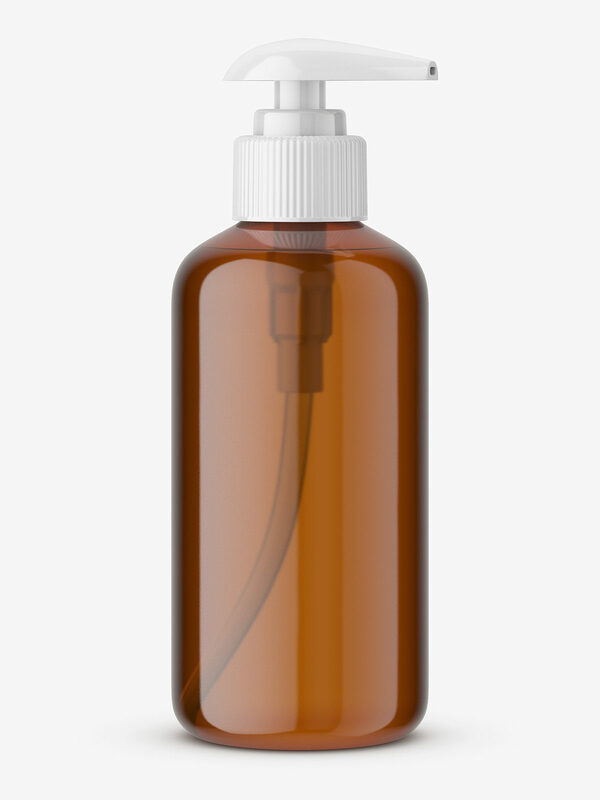 Such packaging may be container for other liquids (ie. 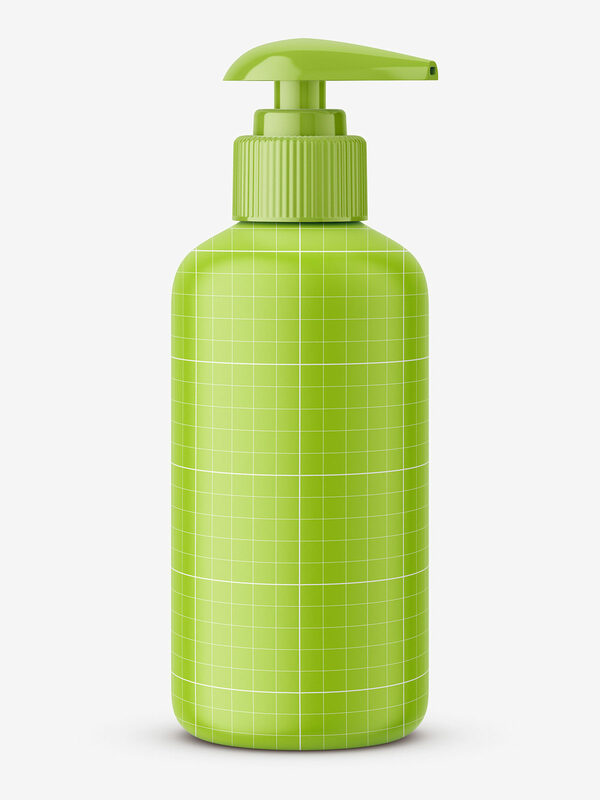 shampoos, gels, creams) as well, but soap in such bottle are quite often.